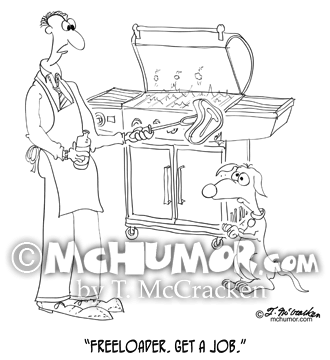 Dog Cartoon 9271: A man barbecuing a steak says to a begging dog, "Freeloader. 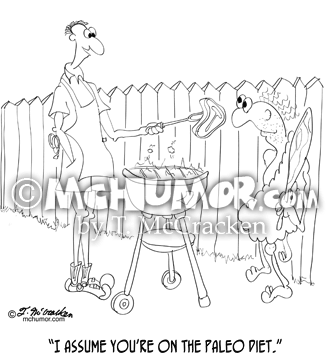 Get a job." 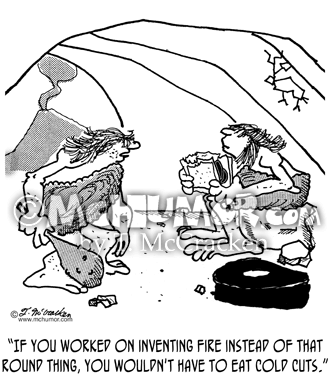 Sandwich Cartoon 4027: A cavewoman says to another eating a sandwich, "If you worked on inventing fire instead of that round thing, you wouldn't have to eat cold cuts." 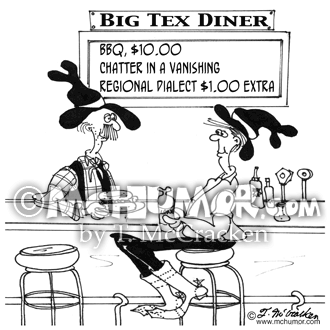 Dialect Cartoon 5473: Big Tex Silver Saddle Restaurant advertises "BBQ, $10, Chatter in a Vanishing Regional Dialect $1.00 Extra." 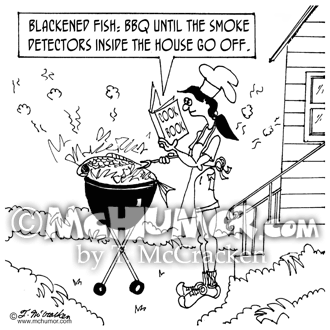 Cooking Cartoon 7295: Someone BBQing looking at a recipe for "Blackened Fish" that says, " ... and BBQ until the smoke detectors inside the house go off." 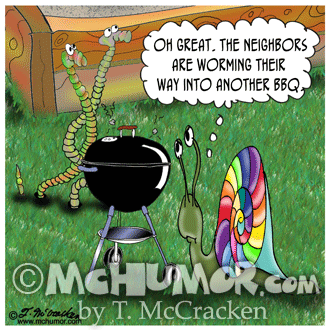 Snail Cartoon 8946: A snail looking at a couple of worms. 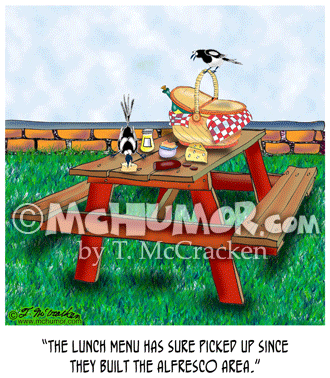 "Oh great. 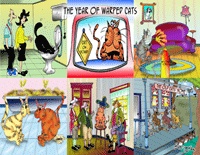 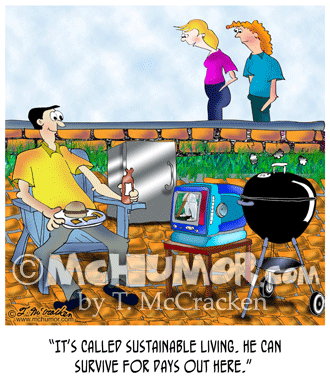 The neighbors are worming their way into another BBQ."